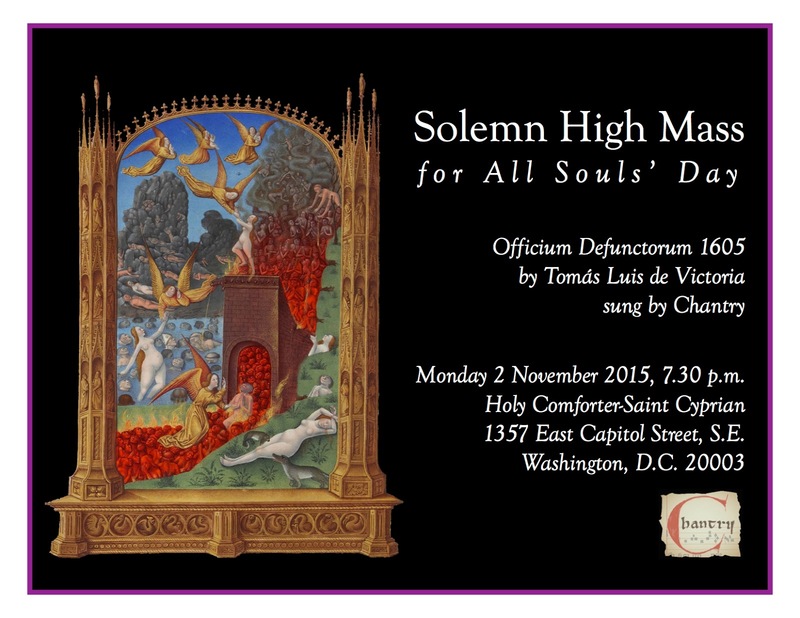 On Monday November 2, the Commemoration of all the Faithful Departed, a Solemn Mass in the Extraordinary Form of the Roman Rite will be celebrated at 7.30 p.m. at the church of Holy Comforter-Saint Cyprian, in Washington, D.C. 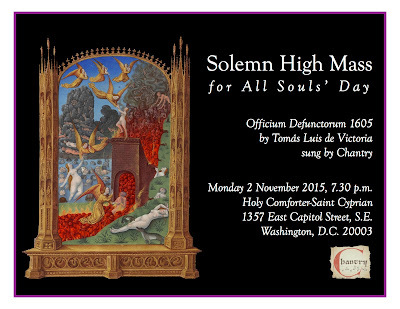 The Propers and Ordinary of the Mass will be sung by the Washington-based early music ensemble Chantry, and will include the complete polyphonic setting of the Requiem Mass by Tomás Luis de Victoria, and the two motets, Versa est in luctum and Taedet animam meam, from the Officium Defunctorum of 1605. The pastor, Msgr Charles Pope, will preach; the Mass will be followed by the Absolution at the catafalque.